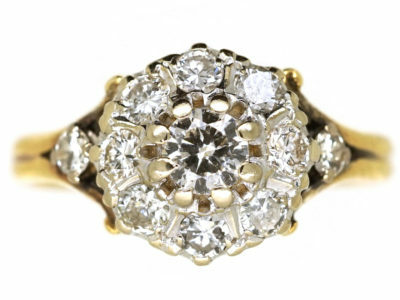 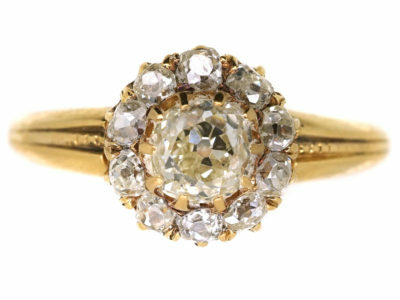 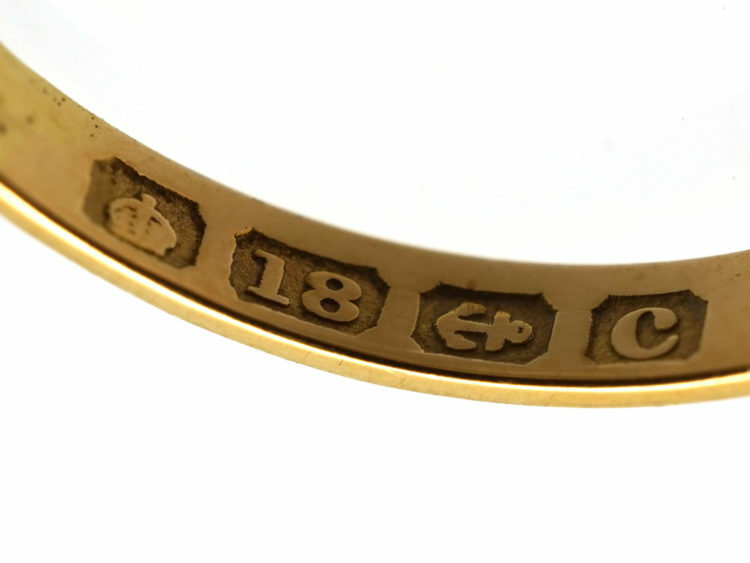 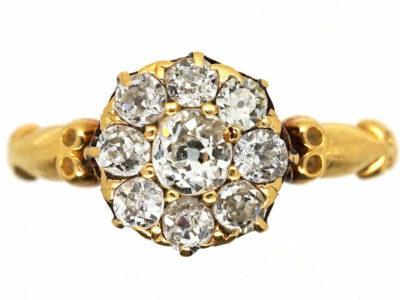 A pretty 18ct gold that was made in Birmingham 1902. 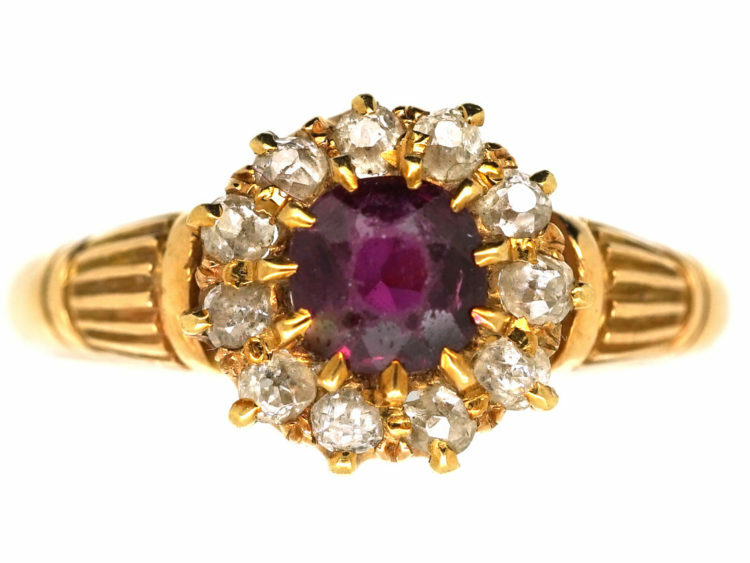 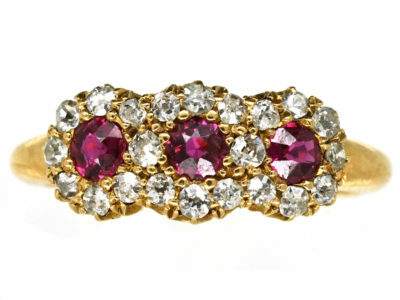 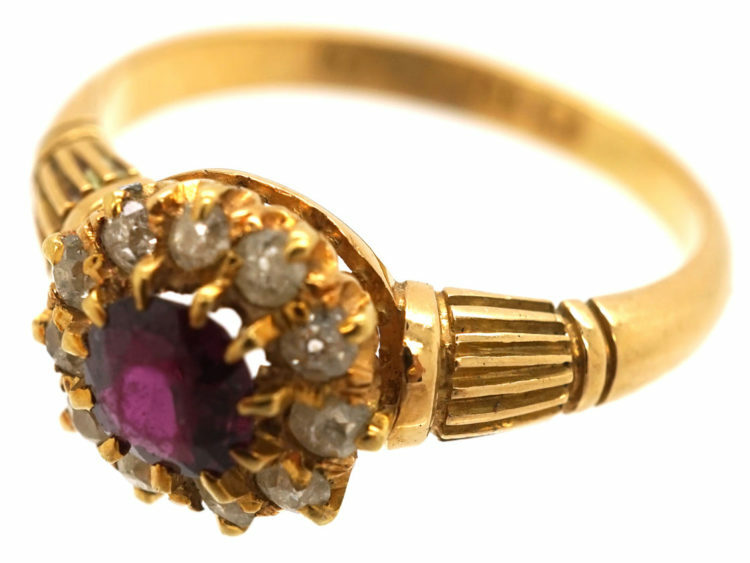 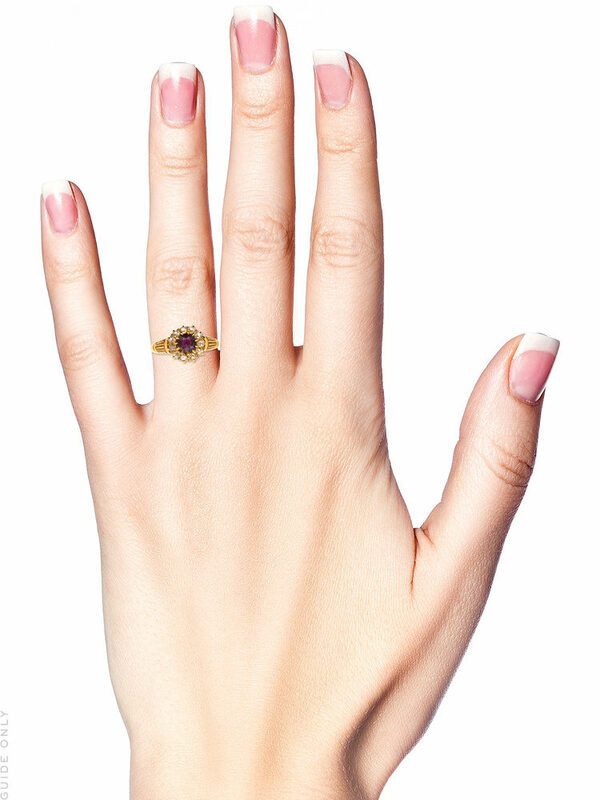 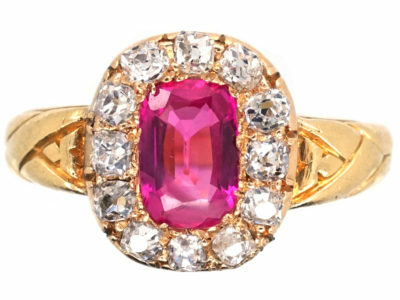 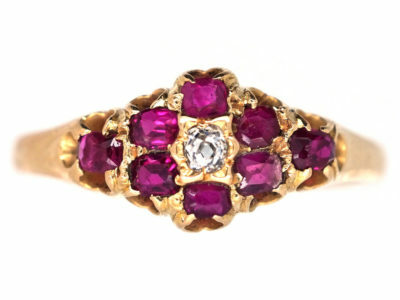 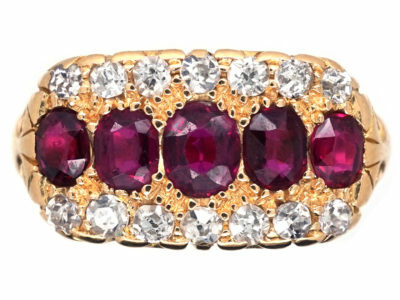 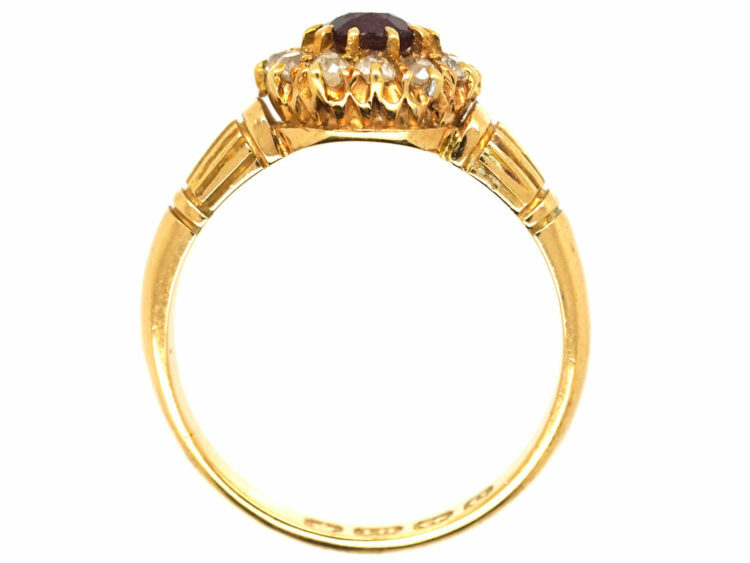 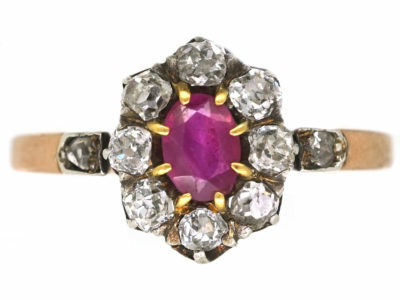 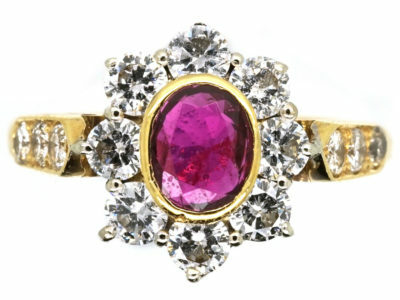 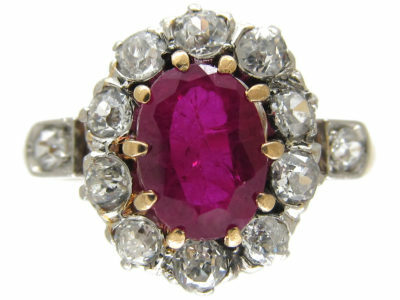 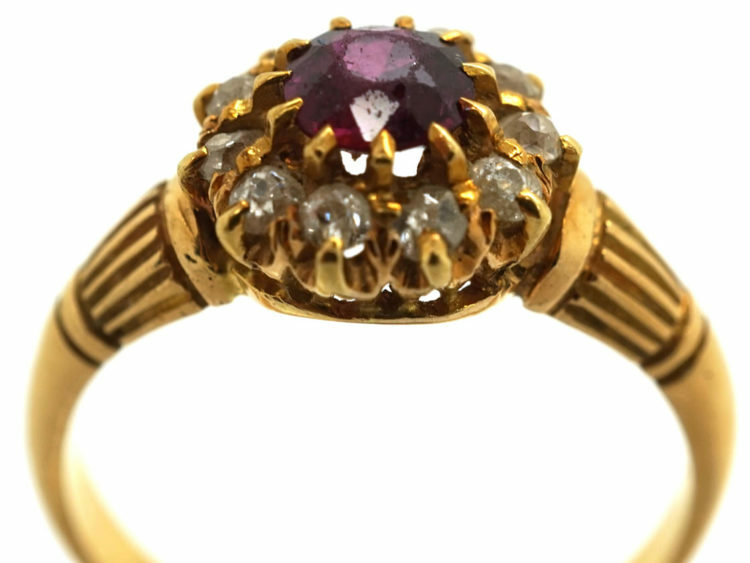 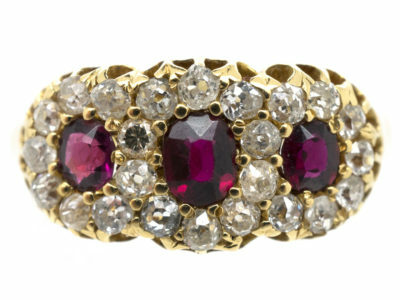 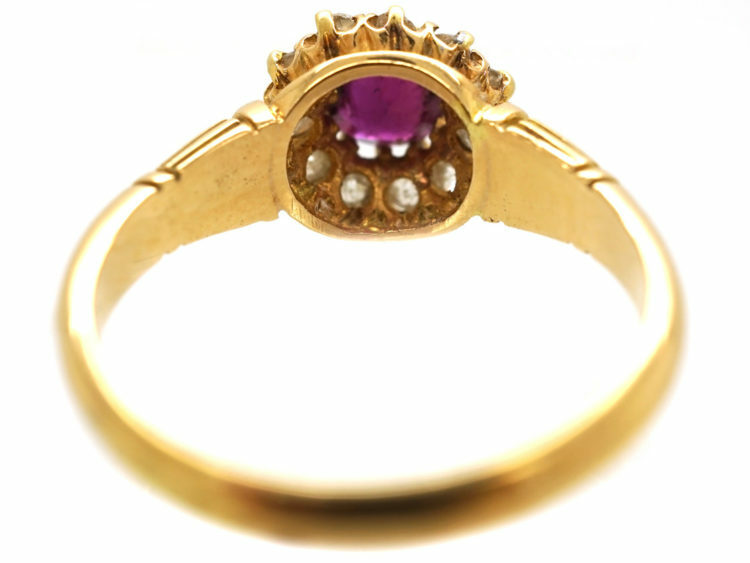 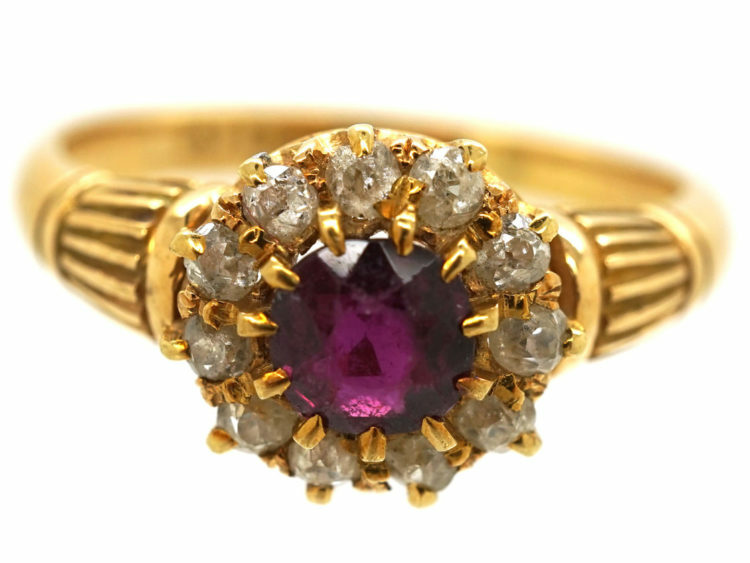 It has been set with a circular shaped ruby surrounded by old mine cut diamonds. 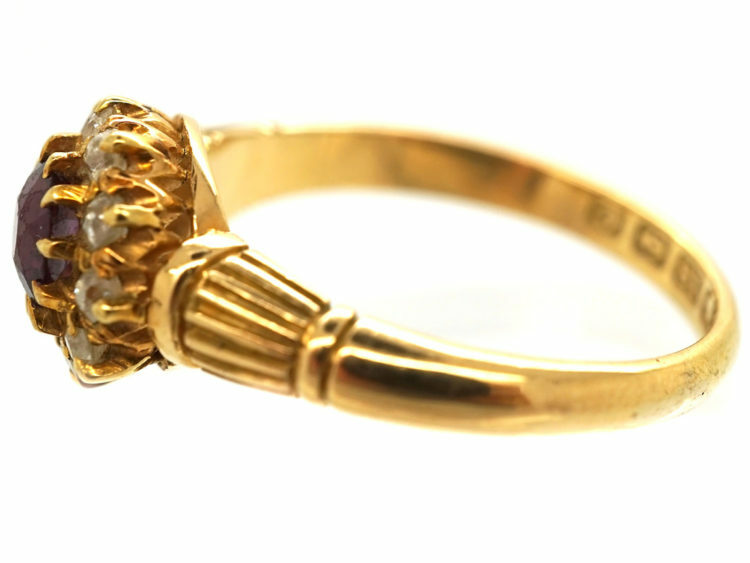 The shank is unusual with rib design. 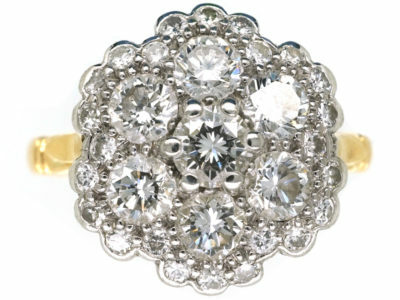 It would be a lovely dress ring or an engagement ring.